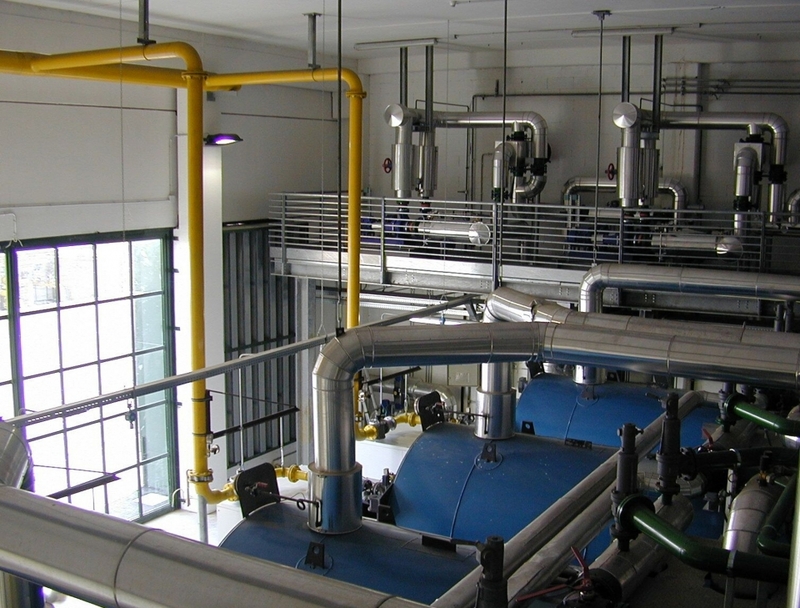 The cogeneration centre opened in 2002 provides district heating to a catchment area containing approx. 2200 residential units and commercial users for around 800,000 sq.m and is located at Casalecchio di Reno. The plant is articulated in three sections - cogeneration, central heating, and pumping plus various auxiliary support functions. 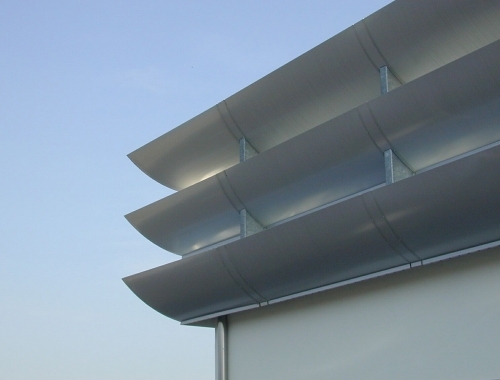 The building has been recessed into the sloping site to reduce its profile and there has been considerable earth movement and landscaping in order to further screen the structure from outside areas. 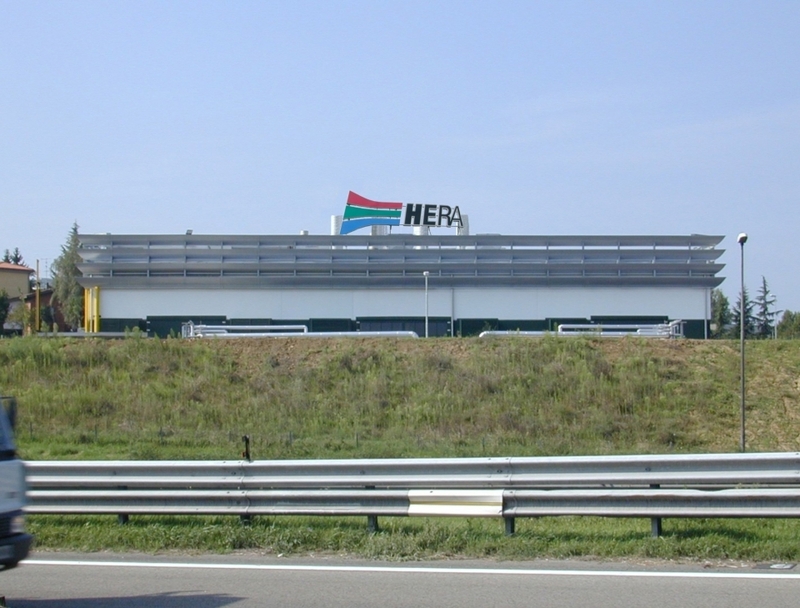 The visible part of the buiding seen from the nearby motorway terminates in a series of wide horizontal metal louvres to mask the machinery located on the roof. The carefull design and construction choices both in the infrastructure and technical plant have enabled excellent results in terms of reduced impact on surrounding areas both in sound and atmosferic emissions which are well within prescribed limits.